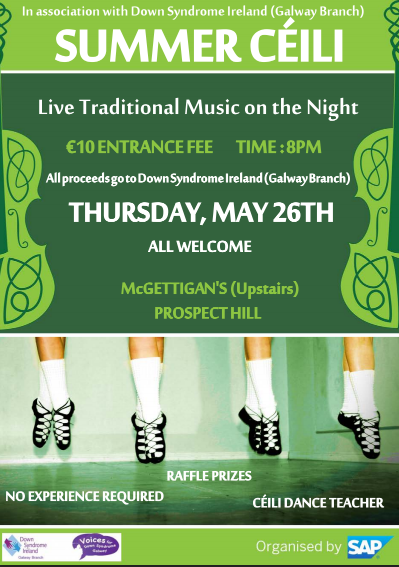 Our charity partner SAP and their Community Involvement Forum and Sports and Social have arranged a Summer Ceili next Thursday May 26th in McGettigan’s (Prospect Hill, Galway city). Entrance fee is €10 with all proceeds going to Down Syndrome Ireland Galway Branch. The musicians are all from SAP.